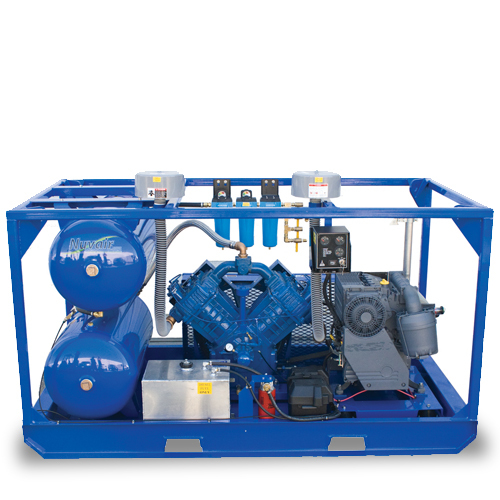 These low pressure continuous-duty compressors are can support multiple surface-supplied divers in shallow water or a single diver at depth. 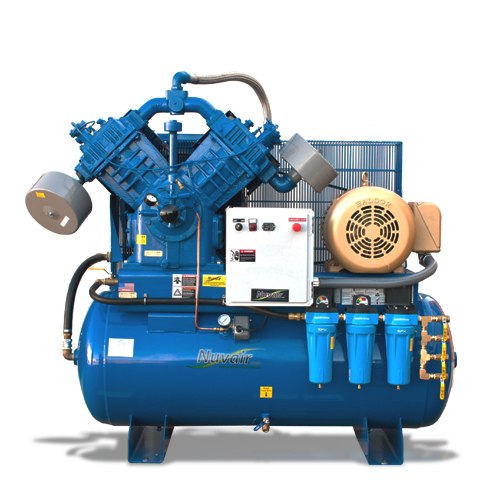 Medium duty compressors provide air at 18 to 50 CFM (510-1416 L/min) and are often used for inland diving or on small boats. We use Champion, Quincy and Rotair blocks with electric motors, gas or diesel engines to build these compressors for working divers. 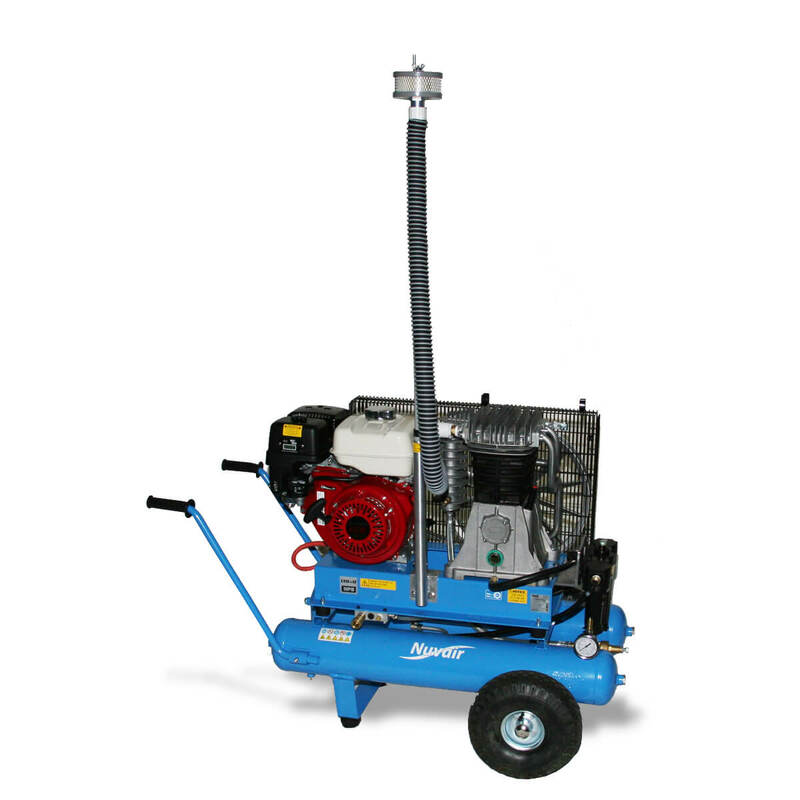 Our light duty commercial compressors are ideal for shallow work in depths of 20 feet (7 m) or less. 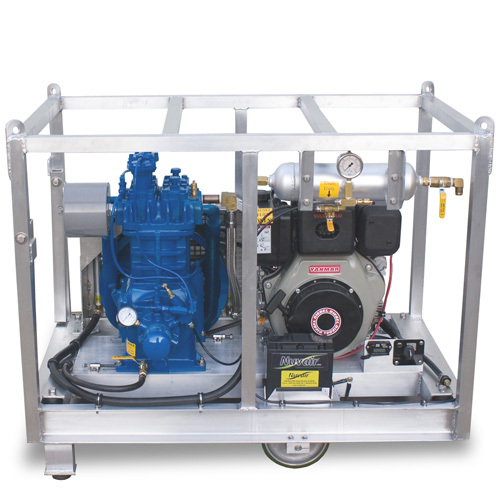 Lightweight, low cost and portability are the main reasons for choosing a light duty compressor. 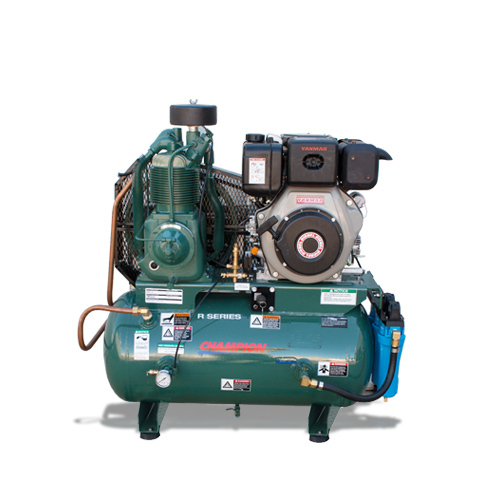 You can choose between oil-free or oil-lubricated compressors. 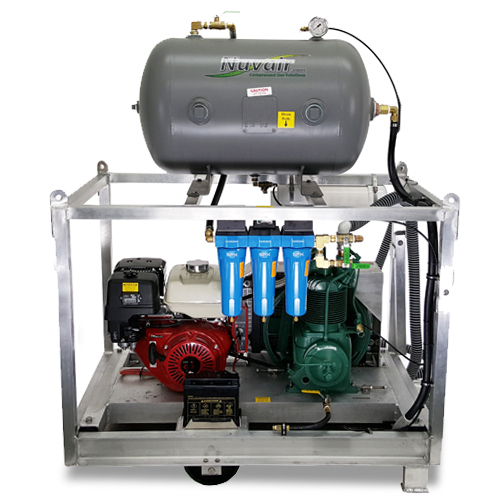 The oil-free designs are light, easy to move around and do not require some of the options necessary with oil-lubricated compressors to meet OSHA breathing air regulations. 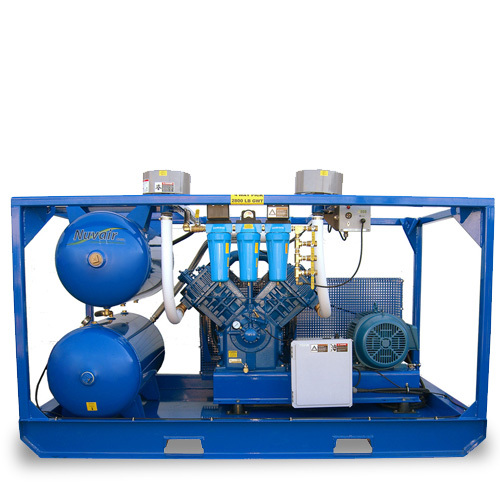 Diver air filtration does not come standard with our light duty compressors. Air filtration is an important option to consider. 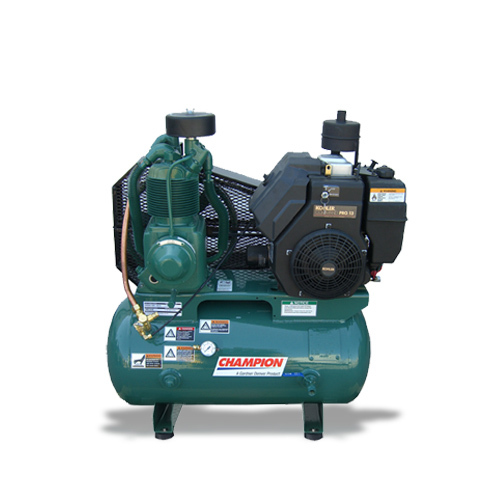 Filters should be installed on any breathing air compressor system. 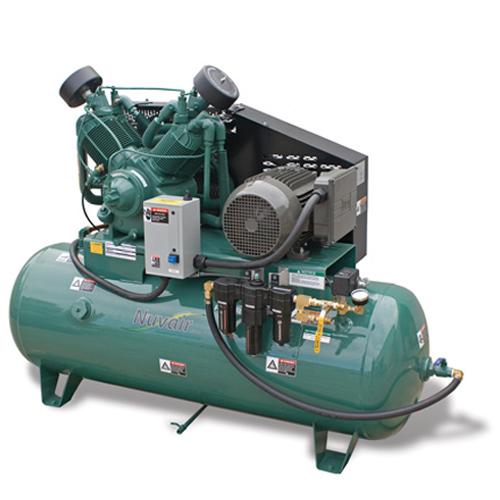 One final consideration when purchasing a light duty compressor would be your planned use. 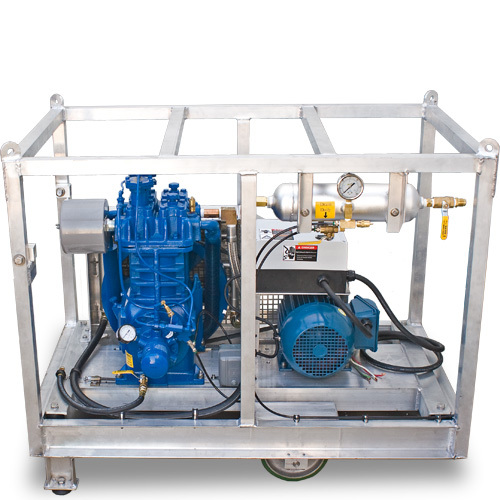 If you plan to use the compressor for continuous duty work or have multiple divers in the water, it will be important to get a compressor that meets the demands of the cubic feet or liters per minute (CFM or L/min) and pressure (psi/bar) you will need. As always, give us call and we will guide you through the decision process to be sure your purchase meets your requirements. 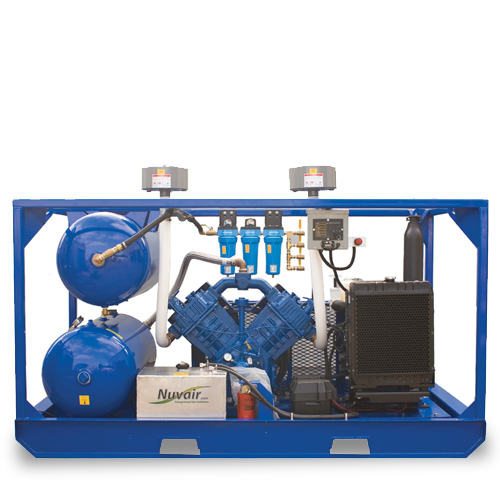 These low pressure continuous-duty compressors can support multiple surface-supplied divers in shallow water or a single diver at depth. 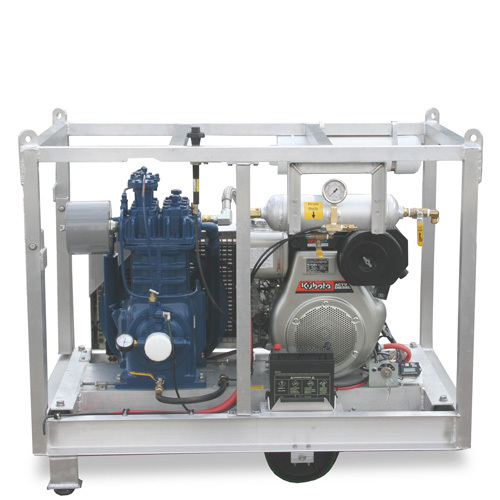 Medium duty compressors provide air at 18 to 50 CFM (510-1416 L/min) and are often used for inland diving or on small boats. 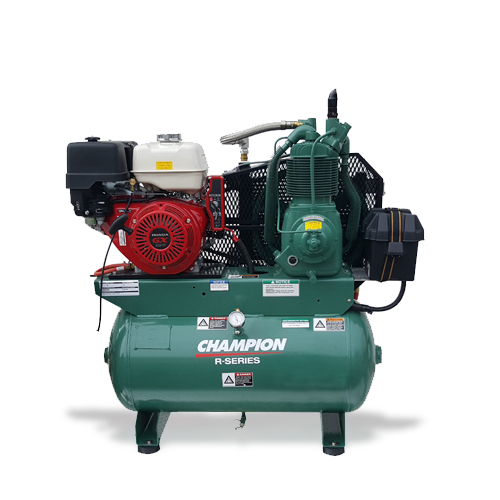 We use Champion, Quincy and Rotair blocks with either electric motors, or gas or diesel engines to build these compressors for working divers. 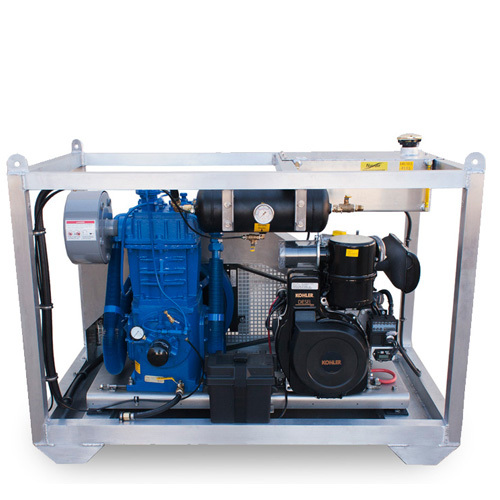 Deep, surface-supplied commercial diving operations call for our 50 CFM and higher (+1416 L/min) heavy duty low pressure compressors that are built for offshore diving and for putting multiple divers in the water. 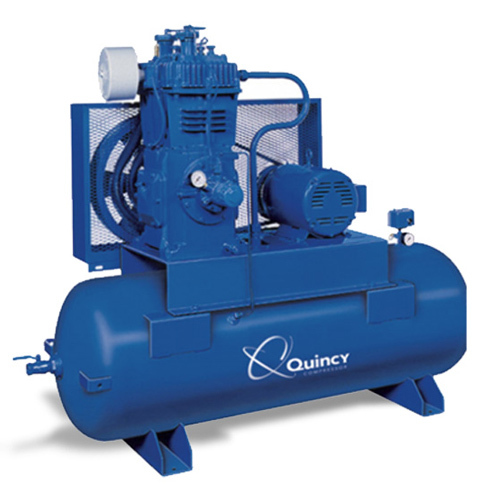 The Quincy 5120 is our primary block for these packages, producing 85 to 95 CFM (2407-2690 L/min). For more CFM we are now supplying rotary screw packages that can deliver hundreds of CFM (over 2830 L/min). 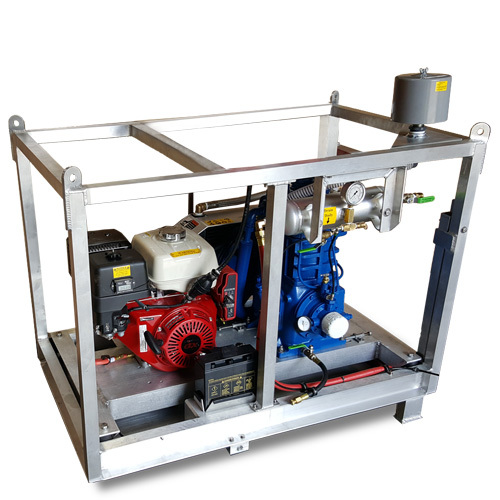 We can design a heavy duty package to meet your specific needs. 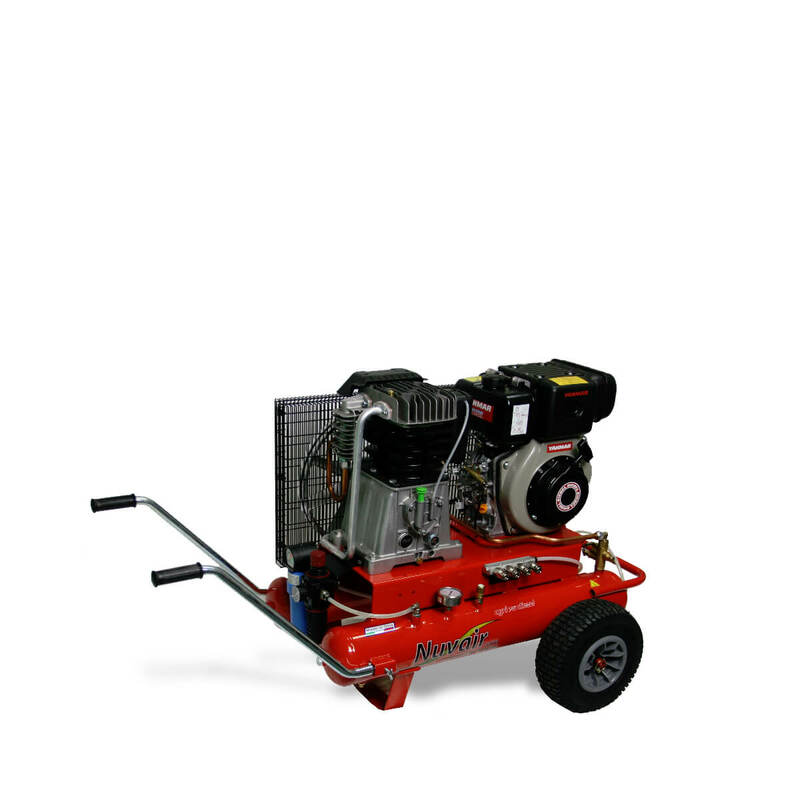 The series of FIAC silent reciprocating compressors of 0.75 to 10 hp are the outcome of recent technological research and design. The SCS model features a special soundproofing system made up of a metal soundproof panel, painted with epoxy paint, which guarantees remarkably low noise levels plus the total elimination of vibrations (acoustic pressure < 70 dB). Electromechanical synoptic control panel with start button, emergency button, hour meter and pressure gauge. Supplementary ventilation system, controlled remotely by means of a thermostatic probe. Electric cabinet and electric motor with protection rating IP55. Shock-absorbing system with four attachment points. Upon request, Freon dryer with standard electronic panel for controlling and maintaining the dew point, timed condensate discharge and display of the operating status.